Product description: A 24-hour long-lasting moisturizing cream in soft volumized texture that soothes and emulsifies extremely dry skin. 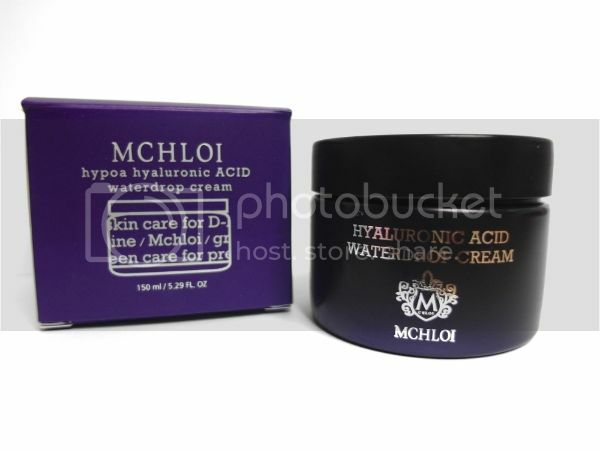 It restores skin barrier and enhance moisture retaining capability for supple healthy skin. Contains Aloe-vera that are strong against dramatic temperature changes and soothes red skin damaged by cool and dry air and restores healthy and even complexion. This brand is almost impossible to research online.. I wonder if that is a good or bad thing. But thank goodness, half of the descriptions are in English, which helps clarifies a lot of questions about the product. 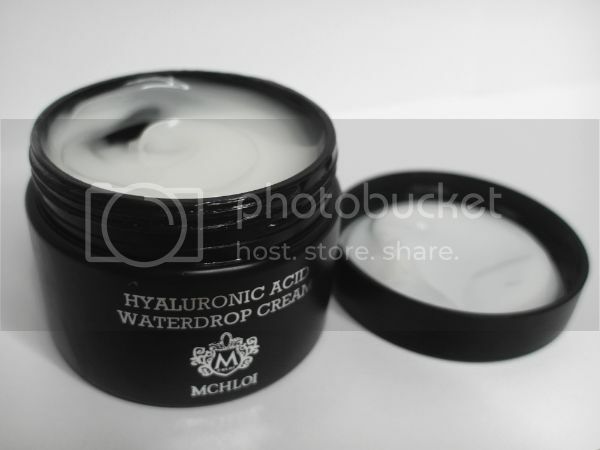 Anyway the M-CHLOI Hypoa Hyaluronic Acid Waterdrop Cream is to be applied on the skin after the essence step. The texture is very watery and light on the skin, it also gives off a subtle scent that reminds me of a florists. 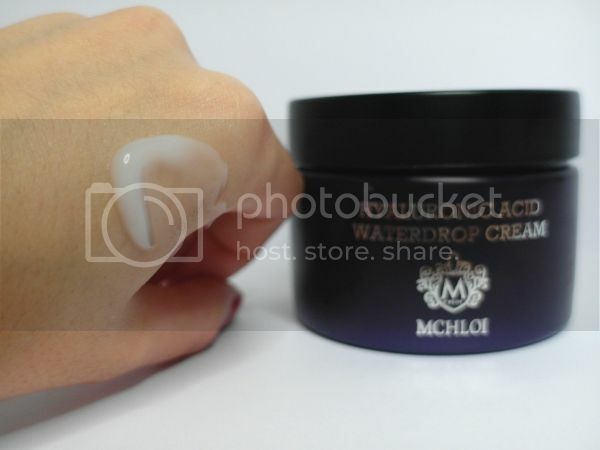 As I slept in an air-conditioned room, I was quite generous in applying the waterdrop cream and noticed that it absorbs pretty quickly. However, I was disappointed to notice that within three days of usage, I started growing heaps of whiteheads all over my face with increasing redness. I suppose it is just too rich for my oily face and would be better only if you have dry skin and/or you are living in a dry climate.